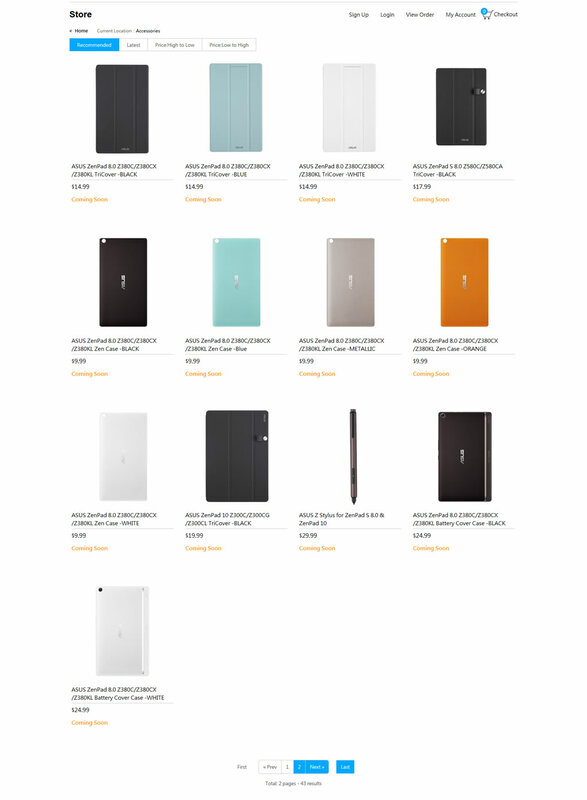 US ZenPad owners, official Asus accessories are coming soon! Understandably, one of the most common questions we get on the site is about cases and accessories. That would include the TriCover cases and the Z Stylus at the top of the “most wanted” list. Although this isn’t an announcement that they are shipping and available to buy, we do have some news which indicates the wait is almost over. The official US Asus online store is showing a large number of accessories for the first time. As a recap, here are the accessories, along with the prices in US dollars. We have previous posts, but rather than making you dig through older posts, we will provide these details again. So unfortunately we still don’t see the Audio Cover as that’s a very interesting accessory for the ZenPad 8.0. We are checking resources daily for any updates on the Audio Cover in the United States and North American release date.